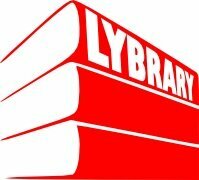 Lybrary.com is a digital media publisher and retailer specializing in download products for magicians, gamers and gamblers. 3 mm is ideal for perfectly rounding corners for playing cards, as well as other cards like ID cards, badges and business cards. It is also the ideal tool to round corners for cards that have been shortened, as for the preparation of a Svengali deck or a simple short card, or cards that have been cut conically - so called stripper decks. Whenever you need to correct the corner rounding this tool will help you. This is a 10" x 10" chess board (square size is 1 1/4"). The overall size of the silicone sheet is 10 1/4". There is no alphanumeric notation on the border. This set consists of 52 gaffed cards with Bicycle backs. The cards are listed below and can also be seen in the image to the right. They come in a white tuck box that has a small window on one side. You will receive four sets of 5 ESP cards (circle, cross, three wavy lines, square, star), a total of 20 cards. Two sets have a red Bicycle back and the other two sets have a blue Bicycle back. These cards were manufactured by USPCC on their standard air-cushion cardboard. You will get a 1/8 color page of advertisement in the next issue of magicseen. You will get a quarter color page of advertisement in the next issue of magicseen. You will get a half color page of advertisement in the next issue of magicseen. This gift card is valid for any purchase at Lybrary.com. Only one gift card per order can be redeemed. After purchasing a gift card you can email the gift card code to the person whom you want to present this gift. They will be able to redeem the gift card with this code in the shopping cart. The gift card can be used all at once or piece by piece for smaller purchases. You will get a 4 oz (118 ml) bottle of genuine playing card coating. This is the real stuff. This coating is used by the biggest playing card manufacturers. It produces a wonderfully smooth and slick surface. The cards will fan and shuffle perfectly. The bottle has a flip top that makes dispensing a brease. You will be able to coat at least 50 sheets (front and back) with one bottle. I have tried and tested many other ways to coat playing cards but none even comes close to this coating. This is real playing card coating. Anything else is a bad substitute.